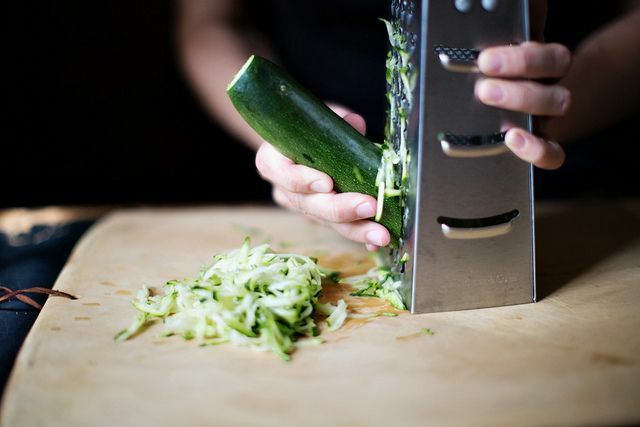 Today: On her 100th birthday, Julia Child shows us how to cut zucchini down to size. So mainecook61 writes to me, "Hmm, the promiscuous zucchini is underserved in the genius department. August is as bad as July; they just keep on coming." 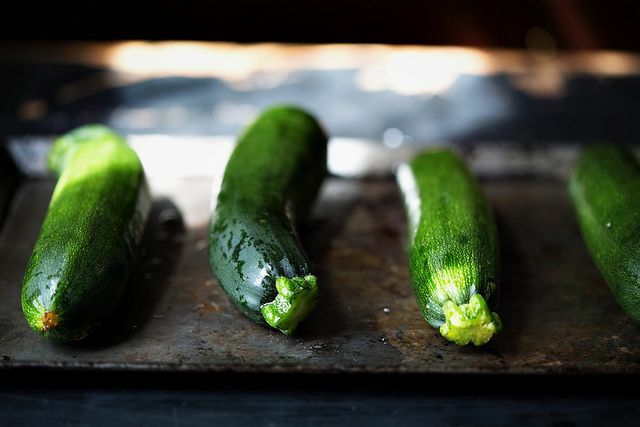 And then, where others might simply complain, mainecook61 proposes a solution that might end our promiscuous zucchini problems. 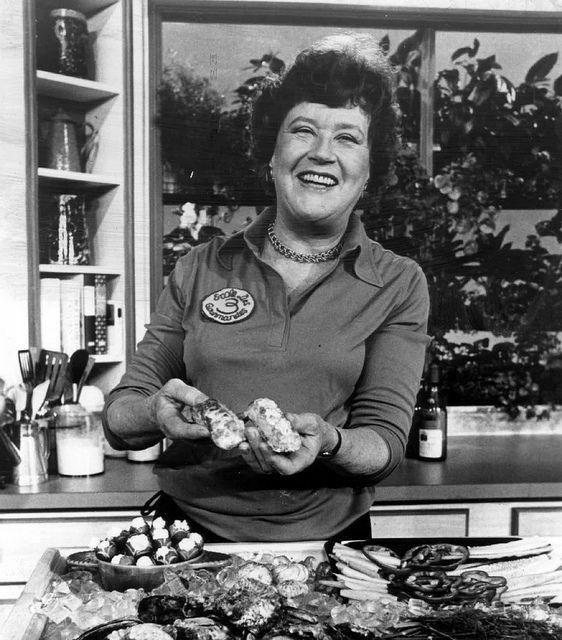 Or you could do as the great Julia Child (whose 100th birthday is today!) did, and cut them down to size. 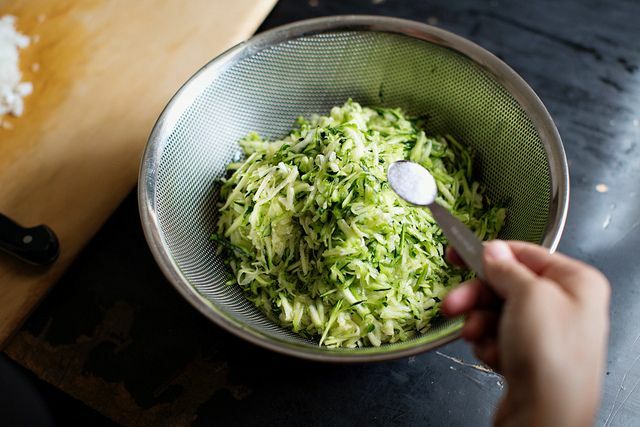 Two-plus pounds of zucchini doesn't look so demanding once you shred, salt, and squeeze it dry. It sheds its water weight, leaving a tamed pile and a lot of green, lightly salted liquid. Any way you choose, the pre-salting and squeezing step is essential to keep your dish from flooding in the cooking, which could leave it soggy and dim. 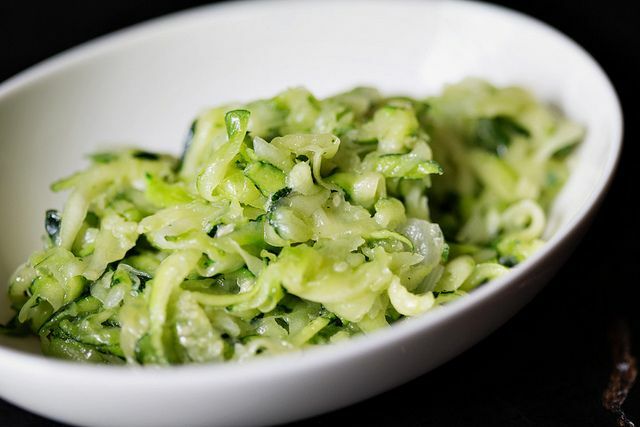 This is particularly important in Child's most cleverly constructed zucchini shred iteration, in which she paves them into a tian, or gratin. It's one of those thoughtful, self-perpetuating recipes that could make a very elegant flow chart. 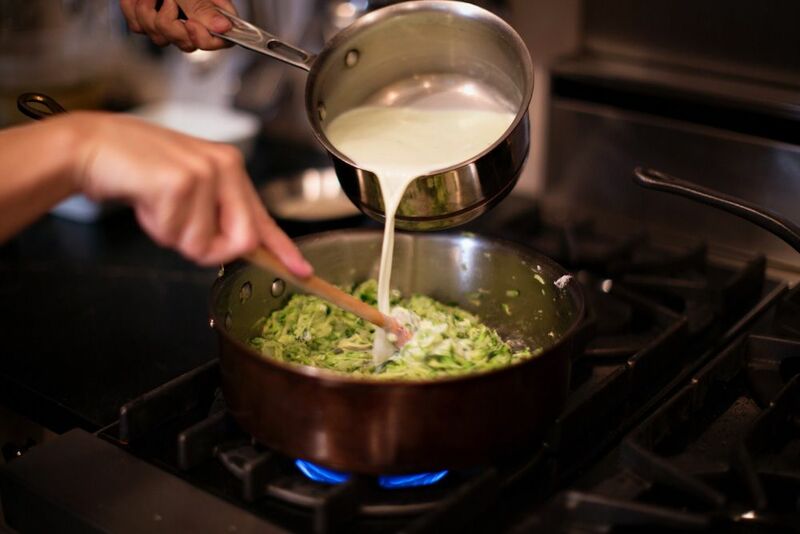 The zucchini juice that you've squeezed out forms the base to a light bechamel, topped off with a little milk. You add enough par-cooked rice to soak up whatever juices remain and thicken the sauce, without asserting itself as empty filler. Then you sprinkle in a bit of sharp parmesan, and bake it till it's freckled and golden. What all this means is that while this tian gives airs of a rich dish, it has no cream or butter and its luxurious base is largely vegetable water. And it's not because Child was afraid of butter -- it's just good that way. As mainecook61 points out, the tian is also substantial enough for a main dish (or a generous side) and, best of all, can be made ahead. 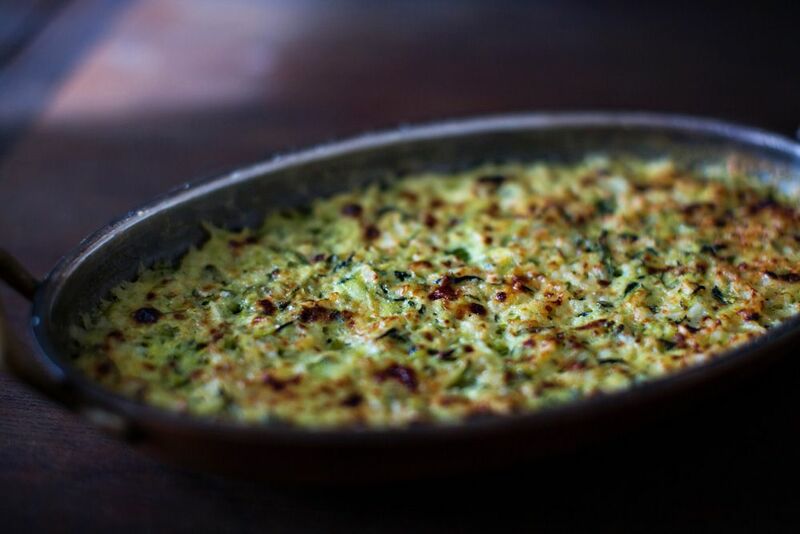 Zucchini, you little minx. You've never looked so classy, and yet so sensible. My zucchinis had only a tablespoon of water after draining for 2 hours so I just added them to the pan without squeezing. I also skipped the par cooking of the rice as my rice cooks very quickly and uses less water than some. I just added it to the pan and let it cook with the zucc. I also added herbs de provence and used pecorino instead of parm. The sauce thickened up well and was absorbed by the rice creating a light béchamel. I used the same pan in the oven as on the stove with a lid while the rice cooked which I removed after 25 minutes for browning. I was surprised how lovely it tasted! Very complex flavour, light and creamy without too much fat. Will make this again and again. Yes, yellow squash would work just fine. Would yellow squash work vs green zucchini? I have an abundance I need to use. Made this last night! It was absolutely fantastic. I'm only sorry that until now, I've always discarded the liquid from the zucchini. What a fabulous treasure it is. Thanks for bringing it to our attention. My future husband and I lived in Brooklyn but were married on the beach in Amagansett. It was a small wedding party, only ten. I made this dish which we carried in our decrepit Chevy to serve with the spring lamb we B-B-Qed for dinner. That was 24-years ago and I still make this dish at least every other year in April. Thank-you Julia. This was absolutely perfect for dinner last night and was paired with a simple roast chicken and a chilled bottle of Robert Sinskey's 2011 Vin Gris. A real hit at the table. Couldn't think of a better tribute to Julia to celebrate her 100th birthday. The most important lesson I learned from watching her shows in the late 1960s was to simply be fearless. And it worked! I charged into the kitchen as an avid cook in my teens, making dinner frequently for the family and I've never stopped. 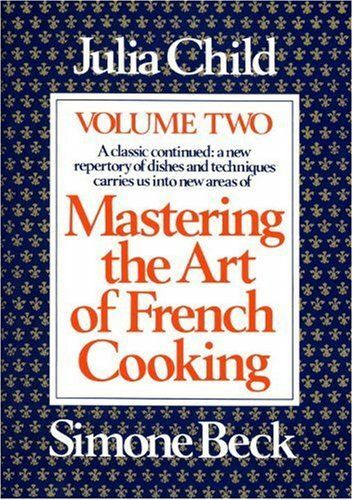 Thanks to her tutoring, and my Belgian mother's, I was never intimidated by a recipe, no matter how complex. I am forever indebted to Julia. Happy Birthday, Julia!!! What a fabulous recipe! I'm making a Julia Child birthday dinner tonight and already have all the recipes planned, otherwise I would be making this! I've made this ever since JC taught me to grate, salt and squeeze zucchini. This summer I made it for a 13-peeps family vacation supper, and everyone loved it, thinking it was something new. Ha! Thanks for sharing such a great Julia recipe on such an important date in culinary history. I made the zucchini tian tonight and it was wonderful. I replaced the onion with scallions, but other than that stuck to the original. The rice was a bit too soft for my taste (I am Italian and can't get away from the whole "al dente" thing) and I wonder if I could skip the parboiling step next time. What might be the downside of doing that? I always want to introduce the interesting more complex flavoring and textures of whole grains when a recipe invites that treatment. So here's how i changed this recipe tonight. I used 2 lb of zucchini (which yielded 1 cup of zucchini juice, to which i added 1/2 c. milk. This replaced the original 2 1/2 cups liquid.) I used 2 T of spelt flour (milder flavor than wh wheat)instead of white, and i used 1 1/2 cup cooked short grain brown rice instead of the white rice. I added a bit of grated nutmeg to the milk sauce and, in the end, i folded in 1/8 cup raw sunflower seeds, for texture. This sounds like just my kind of adaptation! Just to be clear though, you only used 1 1/2 cups of liquid instead of 2 1/2 cups? Probably because you used already cooked rice instead of raw? Ah, Julia, my hero! I stopped at the farmers market on my way home and bought 4 zucchinis. Made this in Julia's honor and toasted her birthday. Great taste of summer in the tian. The state of the kitchen post preparation, every inch of my tiny kitchen counter bearing a dirty dish or pan, reminded me of when I cooked straight out of "Mastering" night after night, right out of college. No dishwashuer in those days, though. Julia on TV inspired me or cook! What a wonderful recipe - especially since it's 'enriched' with rice rather than butter/cream. Do you think farro could work here too? Farro sounds amazing for this -- I haven't tried it, so I'm not sure how long you'd parcook it. If you try it, please report back! Will do! I'm thinking of serving this for a casual dinner party Saturday night. I'll let you know! Thank you- this arrived just when I needed another way to cook all of the zucchini that is arriving in my Maine garden. Kristen, as always, I love reading Genius. 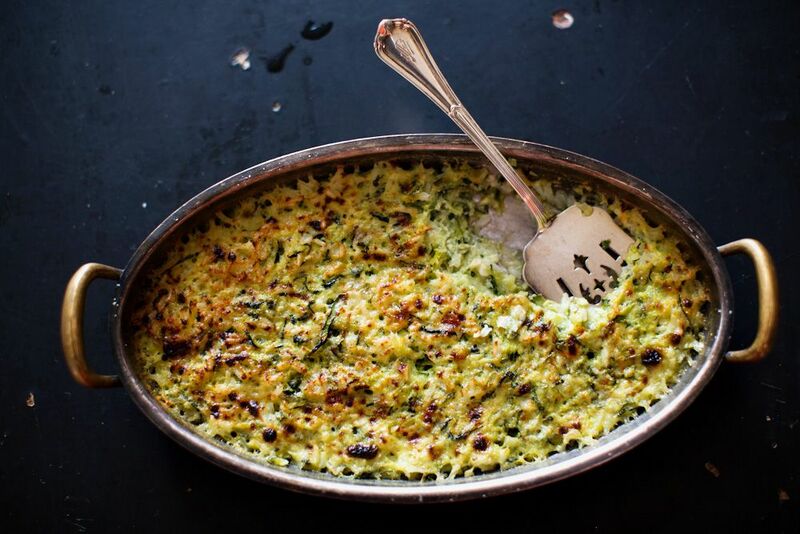 This looks like the perfect recipe for all of those zucchini I'm still getting from my CSA. I look forward to trying it!